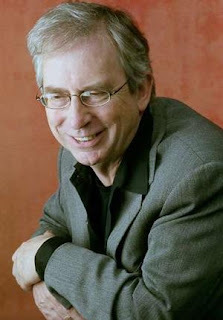 Peter Philip Carey was born in Baccus Marsh, Victoria (Australia) in 1943. In 1961, after graduating as a secondary school student, he began to study Chemistry and Zoology in Melbourne. However, he soon gave up these studies through a lack of interest... Shortly after, he started working for an advertisement company. Thanks to this very job, he came into contact with writers such as Barry Oakley and Morris Lurie. They made him discover European and American fiction. From then onwards, he dived into the world of literature and read, among others, James Joyce, Samuel Beckett and Franz Kafka. Following this, he wrote a series of manuscripts, which were never published., Peter Carey did manage to get a few short stories published, in some magazines or newspapers but only by the end of the 1960s. Most of his stories appeared in the book “The Fat Man in History”, published in 1974. In 1976, he published a number of stories in “War Crimes”, and more importantly, his first novel: Bliss. In the meantime, he went on working in advertising and in 1990, moved to New York. This removal led to some criticism by people who thought he could no longer write from an Australian perspective, since he had left the country. He was appointed Professor of creative writing at NY University. In 1998, he was awarded the Commonwealth Writers Prize but provoked a lot of controversy by refusing a meeting with Queen Elizabeth II. He wanted to show his disagreement with regard to Australia’s dependence on England. So far, the author has approached different genres, such as short stories, children’s books, non fiction and novels. Many of his works were translated into French.